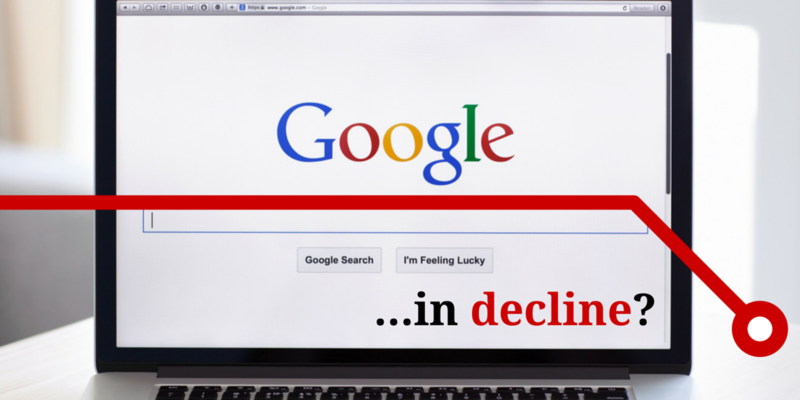 Google has been dominating the search engine war since the early 2000s and never looked back. 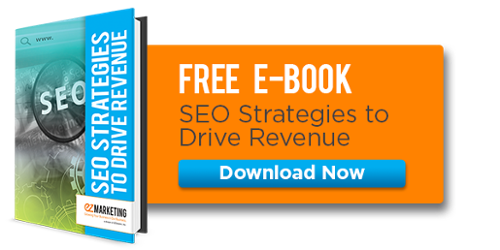 They have led the way with pay per click, Google Adsense, and SEO companies have been falling at their feet to their every algorithmic demand ever since. But recently there has been a shift in the search engine market share. It may only be a couple percentage points, but signs are showing that Google may not be the only player in the game in years to come. Google still dominates by an extremely large margin, but they are at their smallest market share since 2008 while Yahoo is now at its highest market share since 2009. As you can see in the graph below for the year of 2014, Google (in red) is slowly losing some ground while Yahoo (in Yellow) is making a noticeable increase. In late 2014, Mozilla Firefox, a browser which is used by about 12% of Americans, changed their default search engine to Yahoo from Google. This ended a 10-year deal that Google and Firefox had to make the big G the default search and started a 5-year plan with Yahoo. In the last 3 years of their deal, Google was reportedly paying Firefox $300 million a year, which accounted for roughly 88% of the Mozilla Corporation's revenue in 2013. Mozilla reported that the change was due to flat revenue and wouldn't divulge the financial terms of the deal with Yahoo. Yahoo has even been experimenting with redesigns on their search results page that are starting to slightly mimic the look of Google search result pages as you can see below. If it didn't say Yahoo! in the top left you probably would have thought those were Google result pages. 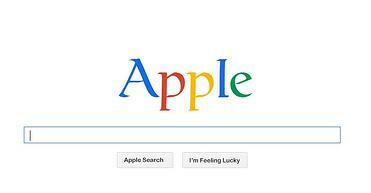 Could Apple be making a search move? Back in 2012, Apple decided to drop Google Maps and go with their own map for their Apple devices. At first there was some backlash due to bugs and errors, but Apple fixed these and hopefully has learned their lesson on releasing their own software. 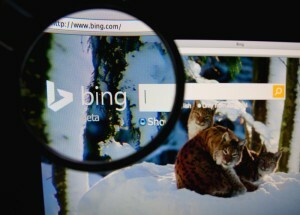 Then in the summer of 2014 Apple dropped Google for Bing as the Spotlight search provider for their iOS mobile devices and Mac OS X operating system. This comes just a year after Apple's Siri dropped Google to go with Bing. Now there is some speculation and reports that Apple could make its own search engine to compete with Google, Bing, and Yahoo. With all of the products Apple has and the fact that they are worth more than Google and Microsoft combined just goes to show that it may not take long for Apple to take a huge chunk of the search engine market share. If Apple doesn't make their own search engine then there are those that believe Apple will go with Bing when their deal runs up with Google, since Google Android is their main competitor. But with Microsoft's increasing share in smartphones and their debut with their personal assistant app Cortana (which uses Bing), it would make sense for Apple to most likely have their own search engine. 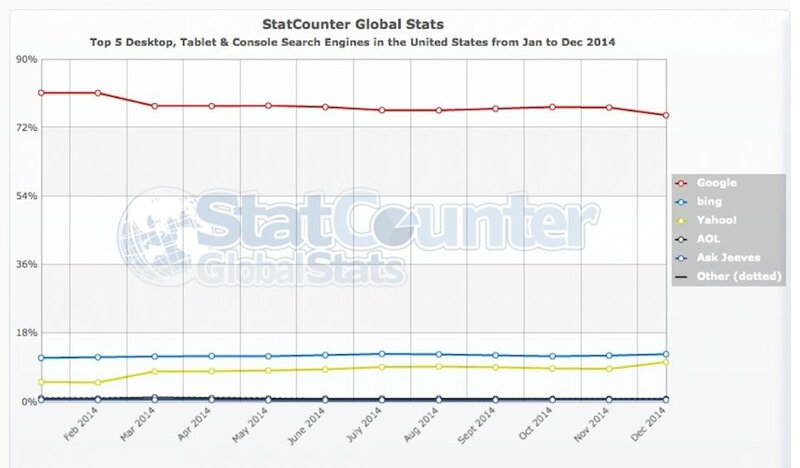 Either way, Google will either be losing out to Apple or Bing for a few percentage points of their market share. Now Microsoft recently announced they will give you 100gb of OneDrive space for free for the next 2 years if you sign up for Bing Rewards. Basically you get credits for just about every search you do while you’re signed into Bing and you can use those credits for gift cards all over the internet, to enter sweepstakes or to donate money to charities. In comparison, Google also announced around the same time that they would give a permanent 2GB bump in their cloud storage space Google Drive if you updated your security settings. So what can we make of all of this? While there are certainly more metrics to pay attention than just search engine rankings, it's now more important to start tracking Bing and Yahoo as well as Google, which we do for all of our SEO clients. Bing and Yahoo both use the same algorithm, so when it comes time to increase your traffic and rankings don't ignore the referral traffic and search placements from the #2 and #3 player in the search market battle.